The next pinball produced by STERN will be based on the TRON: Legacy franchise. The game likely won’t debut at or around the time of the next TRON film as verification that TRON 3 would even be made only came out about a month ago. 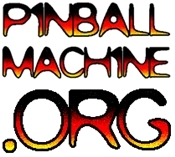 News of this game has been burning up the pinball message boards and for the first time in a long time the crowd’s response seems to be very positive and anticipation is high. Combined with the return of legendary designer Steve Ritchie, STERN’s future in the near term is looking pretty good.